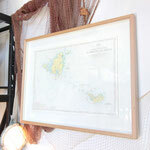 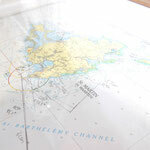 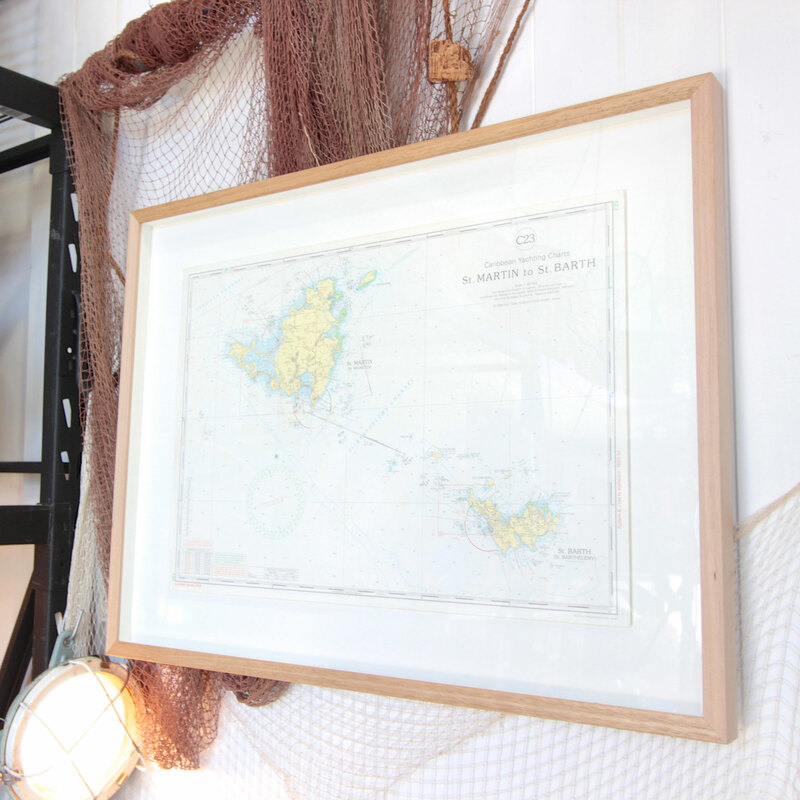 This lovely old nautical chart of the Caribbean has been beautifully framed and is ready to hang. 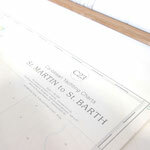 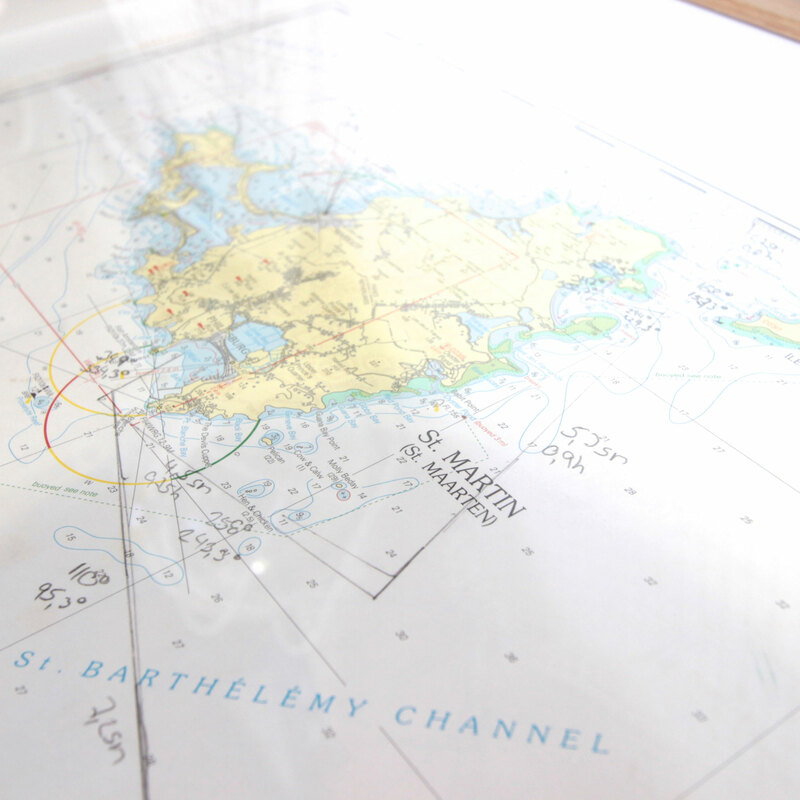 This chart features St Martin to St Barth, and was charted when used to sail the area. 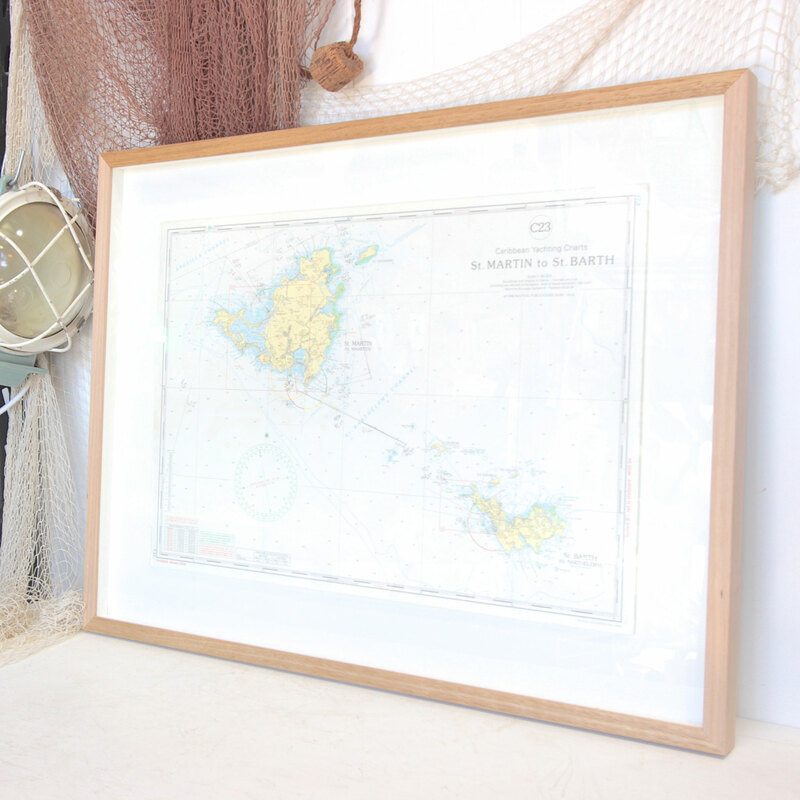 With such beautiful soft blues and yellows it can be appreciated simply as an art piece, or perhaps as a memento of time spent in the area. Measures approx: 60cm x 77cm 4cm.